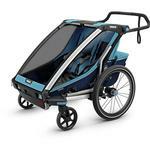 Thule Chariot Cheetah XT 2-Child Multisport Trailer - The Chariot Cheetah XT 2-Child Multisport Trailer is a dream come true for the parent who truly does it all. 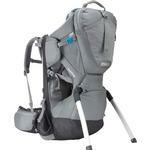 This lightweight carrier makes for easier use, and the aerodynamic design enhances multi-sport capabilities. 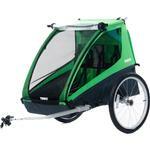 This affordable bike trailer attaches to your bike securely and easily with Thule's patented ezHitch. 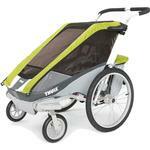 20-inch wheels roll smoothly over paved and unpaved bike trails. Storage space on board for carrying lunches, extra clothing and more. Five-point harnesses are safe and secure. 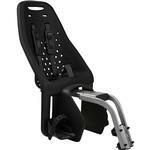 Frame is made from anodized aluminum. Also includes sunshade and tinted windows. Folds for storage. Imported. 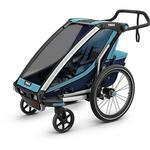 The Thule Chariot Cougar 1 one-child carrier is the popular all-round adventurer in Thule's line of multifunctional child carriers. The carrier comes loaded with features such as an included Strolling Kit, additional optional multi-sport functionality, an adjustable handlebar, and climate controlled cockpit, making it the choice of many young families. 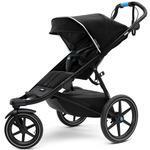 The Thule Chariot Lite 2 is a lightweight child bike trailer, jogger, and stroller, designed for everyday activities. 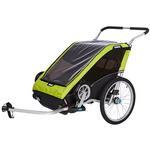 The Chariot Lite features an ergonomic handle bar, suspension system, VersaWing attachment system, and compact folding. 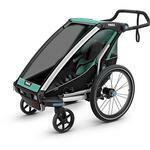 The Thule Chariot Lite 1 is a lightweight child bike trailer, jogger, and stroller, designed for everyday activities. 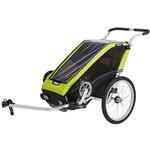 The Chariot Lite features an ergonomic handle bar, suspension system, VersaWing attachment system, and compact folding. 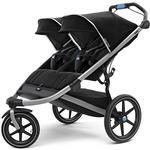 Thule Urban Glide 2 Double Stroller - Easy to maneuver wherever you go, the Thule Urban Glide 2 Double Stroller is lightweight with a swivel front wheel. 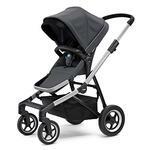 An all-terrain stroller with a sleek design making it perfect for urban exploration or strolling on your favorite path. 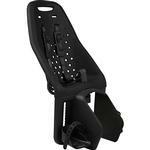 One-handed compact fold makes storing and transporting a breeze. 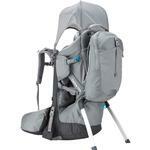 Thule’s Sapling child carrier safely and comfortably carries your precious cargo while on the trail and effortlessly transitions between parents with simple torso and hipbelt adjustments. The stable, roomy and comfortable seat for getting around with your kid. The Yepp Maxi will fit 95% of American bikes. 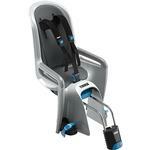 The Yepp Maxi is a light and easy-to-use rear seat designed to carry children from 2.5 to 6 years of age (up to 48 lbs). 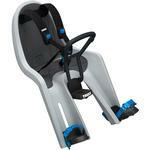 It combines cycling stability with comfort and safety for your kid.